Microsoft tablet: made with Barnes & Noble, with Xbox Live streaming? Microsoft going big on ebooks? Microsoft is widely believed to be unveiling its first tablet later today, and now comes word it could be made in conjunction with bookseller Barnes & Noble, with a focus on Xbox Live video streaming. Sources have told TechCrunch that the tablet will be announced in conjunction with Barnes & Noble. 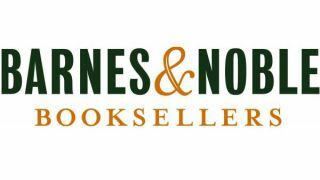 B&N and Microsoft announced a "strategic partnership" in April, with Microsoft investing $300m into the joint business it dubbed "Newco". The tablet could be the result of that joint venture, though two months isn't long to make a tablet. Chances are Microsoft was working on it for some time before that, and was looking for someone to partner with rather than going it alone. If Barnes & Noble is on board, expect an emphasis on ebooks. So the Amazon Kindle Fire could have some serious competition. Though another source says the tablet will be the first to come packing Xbox Live streaming, so it could be a real media powerhouse. The announcement is due to be made in Los Angeles later today, so there's only a few hours to wait to find out for sure. The device is widely expected to run Windows 8, Microsoft's operating system that's due to launch around October time. The likes of Acer and Asus announced their own Windows 8 tablets recently, so the time is surely right for Microsoft to out its own version. Nokia is also due to make an announcement later today. Initially rumours abounded the two were related, and maybe Nokia would be working on Microsoft's tablet, but it seems it's just to reveal US availability for the PureView 808 41-megapixel smartphone.